On May 13, 2015, eight gunmen stormed into a bus which was travelling within the locality of Safoora Goth, in the city of Karachi (Pakistan). The shooting left 46 people dead and most of the victims were of Ismaili Shia Muslim minority group, suggesting the attack was a targeted killing of sectarian nature. The banned militant group Jundallah (a splinter unit of Tehrik-i-Taliban Pakistan) claimed the responsibility for the shooting and according to local intelligence, the gunmen were hailed from Afghanistan. At the crime scene, pamphlets supporting ISIS, with whom the perpetrator group claims allegiance were also found. However, Pakistan government ruled out the group's connection with ISIS in the attack, stating that the latter does not have a physical presence in the country. Post attack intelligence assessment by the various regional security analyst groups claimed the origins of such sectarian violence in the country back to the Soviet's Afghan War in neighboring Afghanistan, during which armed fundamentalist groups surfaced in the region. The Tehrik-i-Taliban Pakistan (TTP), in order to escape operations by the Pakistani military and drone strikes by the US, has gradually spread from its traditional base in the country’s Federal Administrated Tribal Areas (FATA) and Khyber Pakhtunkwa (KP) to the bustling commercial hub of Karachi. Although the TTP has been doing so since 2009, the group began escalating their violent activities in June 2012. This threatens to destabilise one of the Pakistan’s key cities that is home to the country central bank and stock exchange. Today, evidence suggests that the entire Pasthun neighbourhood in Karachi is under the influence of the TTP. As early as in October 2012, reports stated that 7000 TTP militants had infiltrated Karachi. 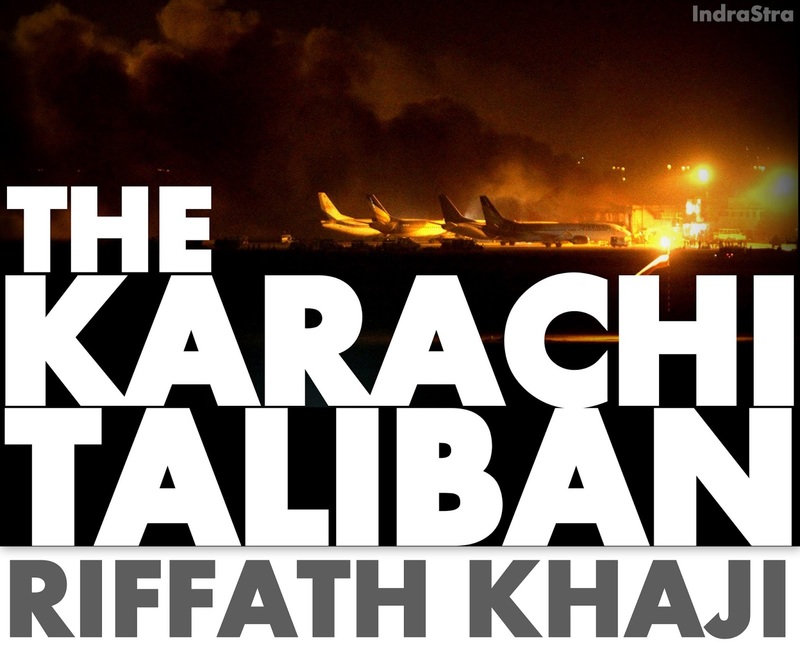 Karachi attracts the TTP because it is Pakistan’s largest city, with a population of 20 million people, and that is home to different ethnic and linguistic groups, making it a tempting target. More significantly, about 5 million Pastuns – the ethnicity to which most Taliban militants belong to – live in Karachi and making it easy to find sanctuaries in the city. Additionally, several other militant groups – such as the Jaish-e-Muhammad, the Lashkar-e-Jhangvi, the Jamaat ul-Furqan, and the Harkut-ul-Jihad Islami – operate in the city. In the early stages of the TTP’S spread towards Karachi, the group’s primary agenda was fundraising, and well as rest and recuperation. The Taliban faction in Karachi largely comprises of militants from Swat valley who are loyal to the current TTP chief, Mullah Fazlullah. The commander for the Swat militants in Karachi is unknown, but anti-Taliban elders in Swat allege that the Karachi-based group was mainly led by Ibn-e-Aqeel and Sher Muhammad. In June 2012, the TTP began targeting local Awami National Party (ANP) leaders in Karachi. In 2012, Sher Shah Khan, a parliamentarian elected from the Swat region, alleged that several Swati political and social figures had been killed in Karachi by TTP militants. According to the ANP, the TTP has killed 70 ANP leaders in Karachi. Approximately 44 ANP party offices have been closed across the city, and several party leaders have left Karachi and moved to Islamabad due to persistent TTP threats. In addition to targeting the ANP, the TTP has also threatened the secular Muttahida Qaumi Movement (MQM), a political party that largely represents the Urdu-speaking Muslim community. The TTP militants in Karachi have also been targeting law enforcement agencies. Officials believe that the TTP has a hit list that includes police officers who have been involved in the arrests and killings of TTP commanders and militants. In February 2014, 13 police commanders were killed and over 57 injured, when their bus was targeted by a car bomb outside the Police Training Centre in Razzaqabad. The police personnel targeted in the attack were part of the Special Security Unit (SSU), an elite group of the Sindh Police that is deployed for the security of important official buildings and personalities. The TTP network in Karachi has thus weakened the local economy and threatens the overall security of the city. Pakistani security experts, politicians and law enforcement officers agree that the TTP wants to tighten its grip on Karachi. The government is still in a position to roll back the TTP’s threat to the city, given their insistence that the numbers of tribal militants operating in Karachi are low. If Pakistan fails to confront these developments soon, the TTP’s Karachi network will have a wider national impact. Karachi is home to powerful liberal secular elements, as well as progressive political parties such as the MQM, Pakistan People’s Party, and the ANP. Peace in Karachi will require an even-handed and professional approach on the part of the government, the law enforcement agencies, to target all such groups that are involved in criminal activities. The federal government of Pakistan is at the receiving end in containing the spread of the TTP in Karachi; and the future looks uncertain, given the volatility of the city.